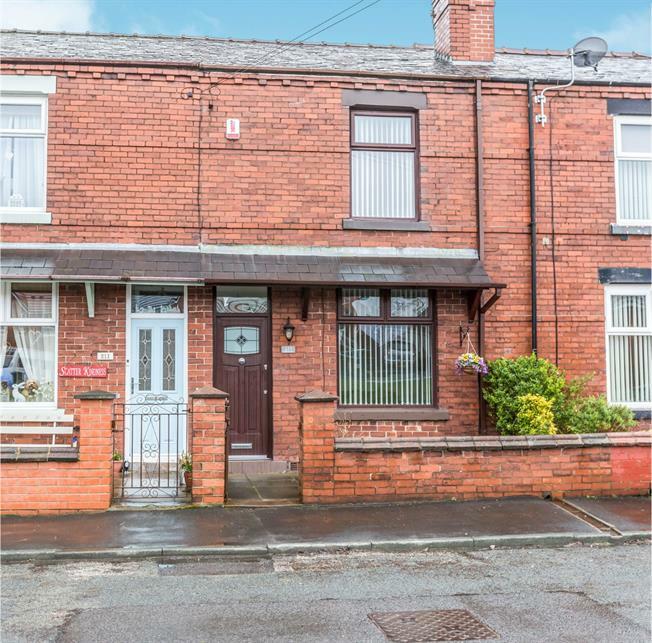 2 Bedroom Terraced House For Sale in Chorley for Asking Price £160,000. This period property with a modern interior has plenty to offer, situated within a popular residential area of Coppull, close to yarrow valley country park. Internally, the property briefly comprises of a entrance vestibule, lounge, dining room/sitting room with French doors onto rear garden, fully fitted kitchen with modern wall and base, two double bedrooms and a modern three piece bathroom suite. Externally, to the front there is a small garden whilst to the rear is a low maintenance garden leading to a large piece of land which is not overlooked. This property is a must see to appreciate the amount of space this property has to offer inside and out..